Looking for an education camp in Mississauga? Consider Innovation Camp Thinnox, a day camp where kids have fun while earning OSSD credits. Summer camp or March break camp is one way for struggling students to hone learning skills to improve their academic performance in school. Never forget that any camp can be educational, offering detailed study of spheres such as flora and fauna. Camps offer a fun avenue for children to enhance their learning, communication skills and general knowledge. Academic camps teach students how to read more reflectively, think critically and learn from the ideas of others; they might be operated as part of university summer sessions, as summer school of prep schools, or as private educational camps. The primary purpose of academic camps is educational development. There are camps for technology, game design, zoology, computers and life skills too. Computer Camps can help your child learn more about coding, design and other Internet technology skills. Science Camps are often run by museums or other institutions allowing your child to increase his or her understanding and appreciation of a variety of scientific pursuits. Leadership Camps encourage your child to develop skills in helping others, along with much more leadership training. ESL Camps flex your child's proficiency in English as a Second Language. Debate camps can teach your child different debating techniques, as well as build his or her confidence in public speaking. Youth empowerment and social justice camps offer training leadership, communication, team building, and more. 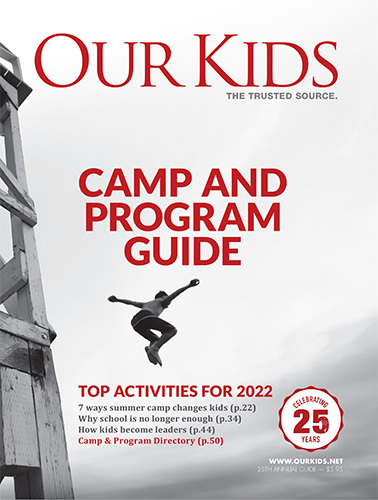 In the 2010 issue of Our Kids Go to Camp we profiled the various ways in which kids combine learning with hands-on experience and personal growth in many unique ways, thanks to educational camps. Camp is just one more opportunity for your child to learn about the world around them and to extend their education as deeply and broadly as they like to. Don't forget that camps.ca also lists camps that specialize in the arts.